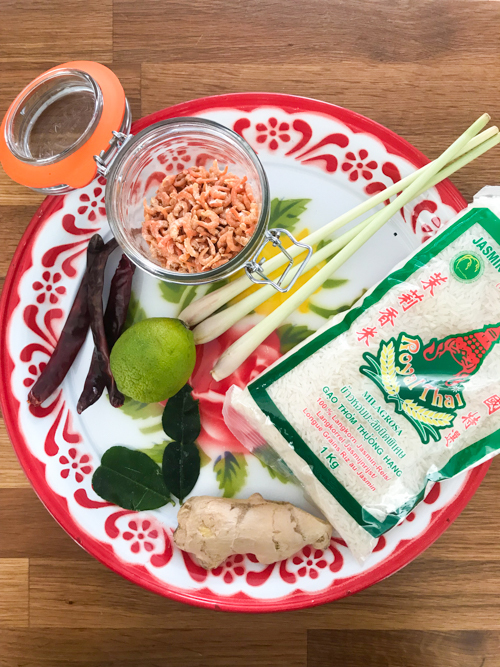 Fish sauce is an essential condiment in Thai cooking. It is used for adding saltiness to dishes, while also providing a particular fishiness, that adds depth of flavour. In most supermarkets you’ll find the Squid brand fish sauce, which you’ll recognize by its green cap. I personally don’t like that one, as it’s quite pungent and unrefined. 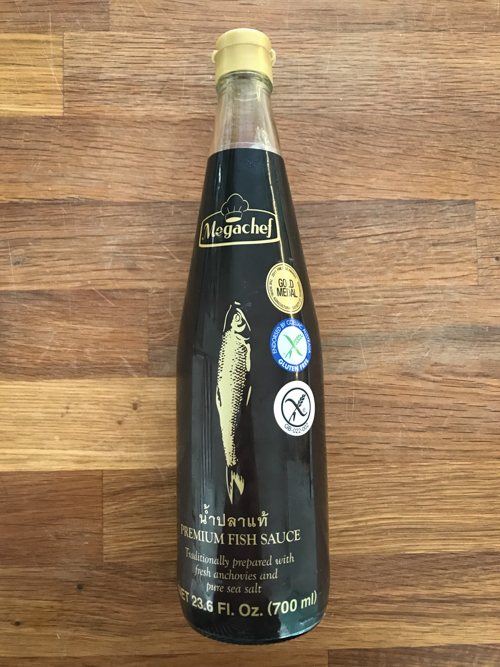 If you can, try and get hold of a bottle of Megachef Premium Fish Sauce – it’s MSG free and tastes very delicate and refined. A whiff off a kaffir lime leaf transports you instantly to Thailand. 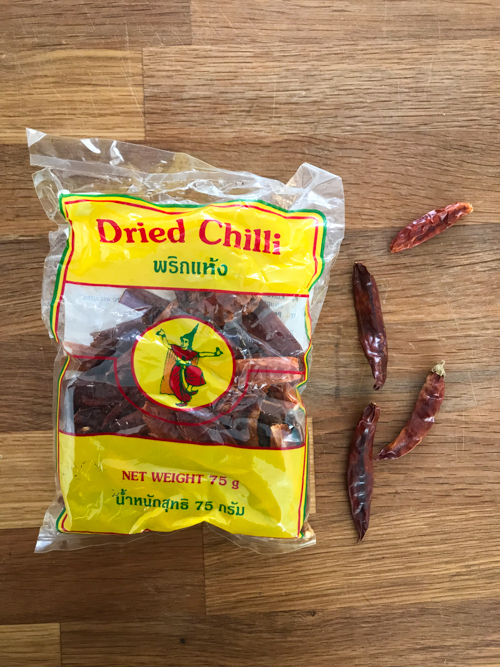 It’s an essential flavour in many curries – sometimes used in curry pastes but most often left whole to cook in a curry (a bit like a bay leaf in European cooking). People often associate its perfumed taste with lemongrass, but it really is very different. Once you’ve smelled and tasted kaffir lime leaf, you will always recognize it! You will find frozen kaffir lime leaves in the freezer section of Asian markets. It’s handy having a bag in your freezer, as you just take a leaf whenever you need one, and keep the rest in the freezer forever. 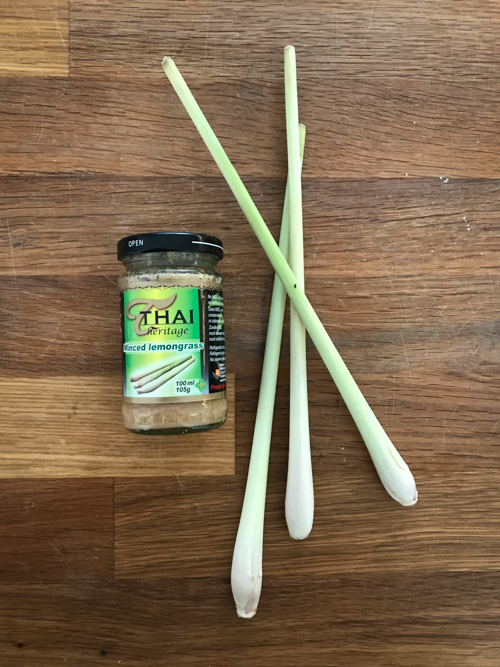 Used in almost all Thai dishes, lemongrass can be left whole (but bruised with a pestle and mortar) to infuse soups like Tom Yum. If you chop it, make sure to cut off the base and remove the outer layer – as this is most tough. Chop it as finely as you can, then reduce to a paste in a pestle and mortar – otherwise you’re left with woody pieces in your curry. If I’m in a hurry, I’m using lemongrass paste from a jar, which is very handy indeed. Any leftover lemongrass can be frozen – whole or chopped. You can peel ginger with a spoon, simple by grating the skin off with the spoon – like that you’re losing less flesh as by peeling with a knife. If I’m in a hurry, I like to use ginger paste from a jar. Ginger can be frozen whole or chopped. A relative of the ginger root, it tastes more aromatic and subtle than ginger. 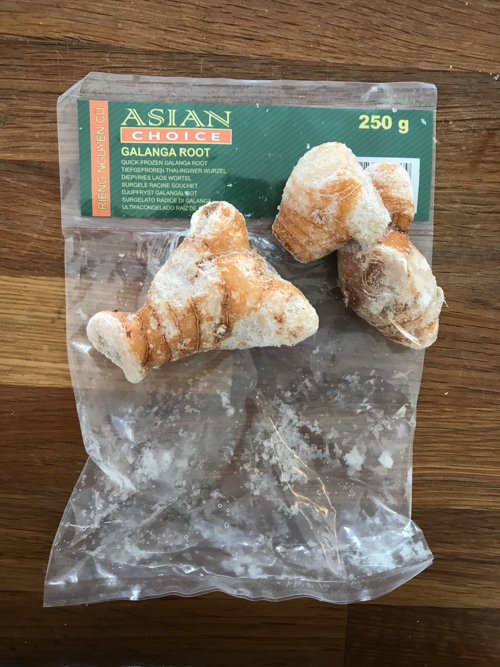 It’s hard to find fresh galangal in Luxembourg, so I always buy it frozen and leave to defrost slightly before peeling (if you let it defrost completely it’s hard to peel, as the root will become soft due to the water that’s melted inside). 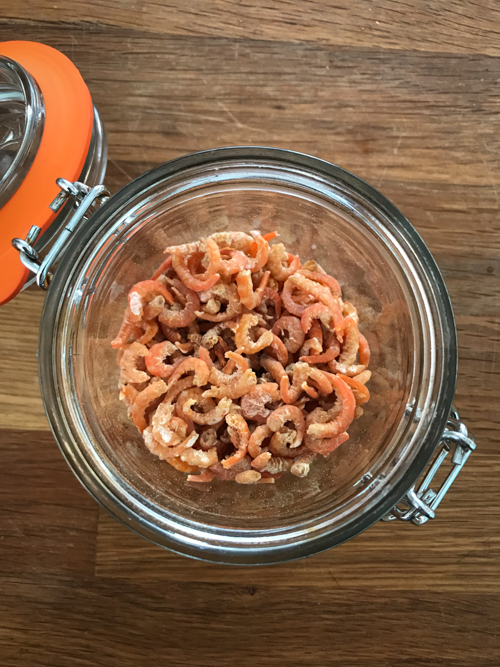 Sometimes it’s possible to find galangal paste in a jar – if I do I buy some for convenience. Also named ‘The vanilla of the East’, Pandan is a super aromtic leaf smells like a mix of coconut and vanilla. It’s most commonly used to infuse curries and Thai desserts – and you may have come accross a favourite of mine: pandan chicken (spiced chicken thighs, wrapped in pandan leaf and then deep-fried). 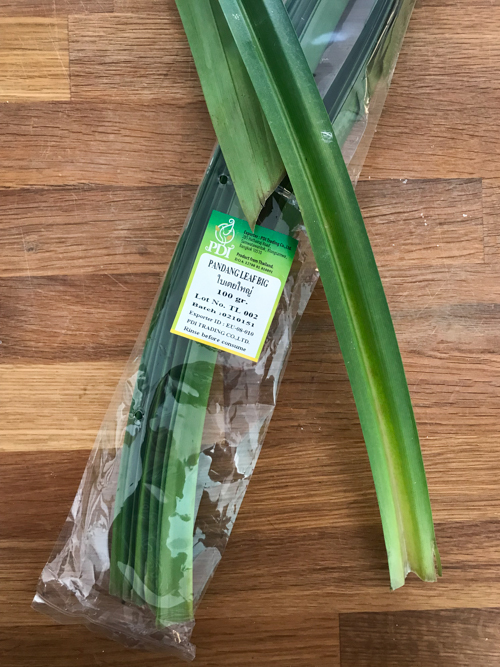 You will find fresh pandan leaves in Luxembourg’s Asia markets. I usually buy a bag and freeze the leaves for up to 6 months – taking one out whenever I need one. Used to bring soureness to Thai dishes. Tamarind can be bought as paste (in the photo on the left) or as a block of de-seeded tamarind pulp (in the right). If you use a block, you break off a chunk of pulp and mix it with hot water. After steeping for 10 minutes you push the pulp through a sieve and use the watery purée that comes out. With a deep caramel flavour, palm sugar is used in almost all Thai dishes – from curries to noodles, it’s going to be in it. Unfortunately it is impossible to find quality palm sugar outside of Thailand (in Europe). 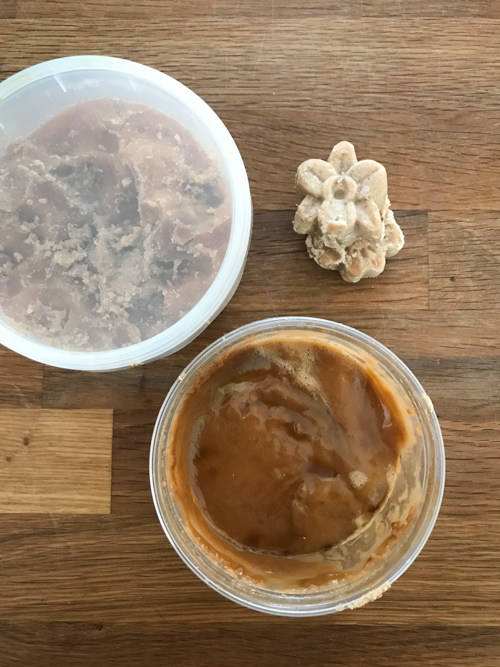 I’m always buying jars of palm sugar on my Thailand trips – making sure I get fresh one that’s not been cooked too long, so that its texture is like a soft marzipan. At the moment I have three types at home: the one on the left is a hardened palm sugar, good to dissolve in curries. The one on the bottom is my favourite, it melts away in Thai salad dressings. The top right ones are pressed pieces of palm sugar, which I bought at the coconut farm where I could make palm sugar in my show (here’s the episode). You may be able to buy palm sugar in Asia shops in Europe, but it’s usually tough as stone – so you need to chip some off before using. I recommend using very dark cassonnade (muscovado sugar) as a replacement. These make the base for most curry pastes. De-seed the chillies, then pour over some boiling water and leave to soak for 15 minutes. After that they’re soft and ready to be pounded into a paste. 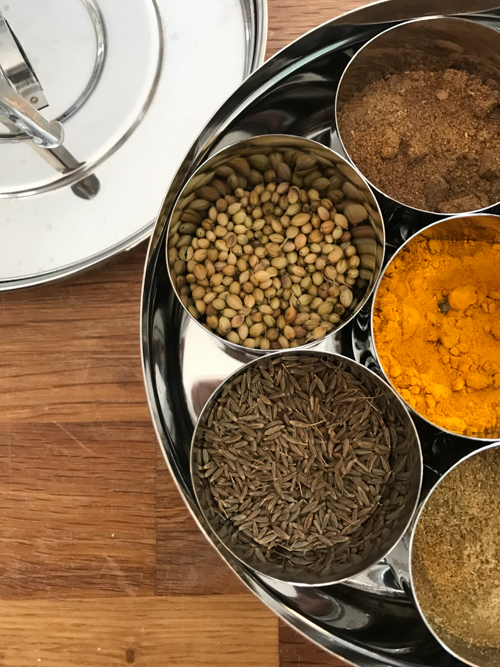 The base for most curry pastes is coriander and cumin seeds. You briefly roast them in a dry frying pan and then grind them into a powder with a pestle and mortar. Adding fishiness to salads and other dishes, these are sometimes reduced into a powder before using. Once a package is opened, store in the fridge. 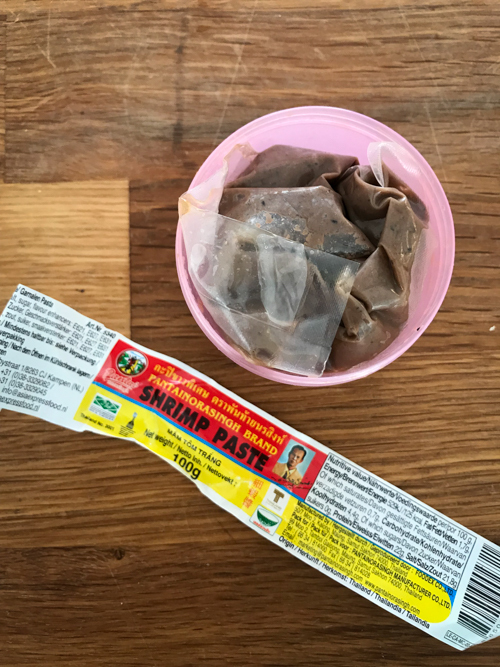 This grey paste stinks the hell out of any fridge – so I always lock mine away in another sealed jar, to prevent any smells to leak… Gapi is fermented shrimp paste, used in lots of curries to add depth and fishiness. Use with caution. 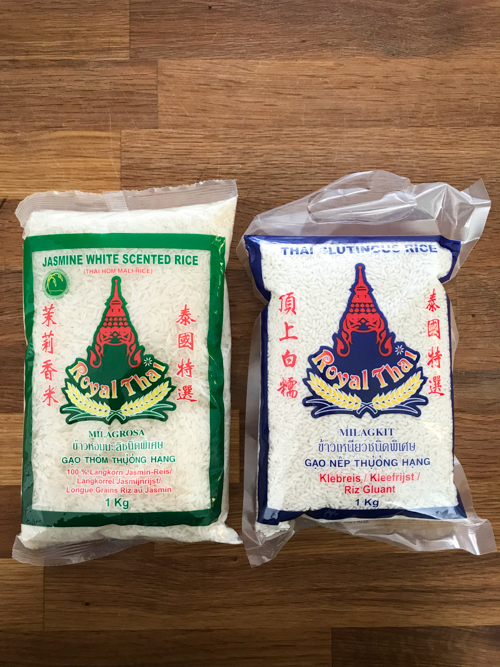 Thai Jasmine rice is the typical rice you receive with most curries in Thailand. It is cooked in water (ratio: 1 cup of rice to 1 + 1/2 cups of water). Thai sticky rice is steamed. It needs to be soaked in water for 2 hours before using, then steamed for 20 minutes. You recognize sticky rice as the rice kernels look more milky and less transparent than the Jasmine rice kernels. 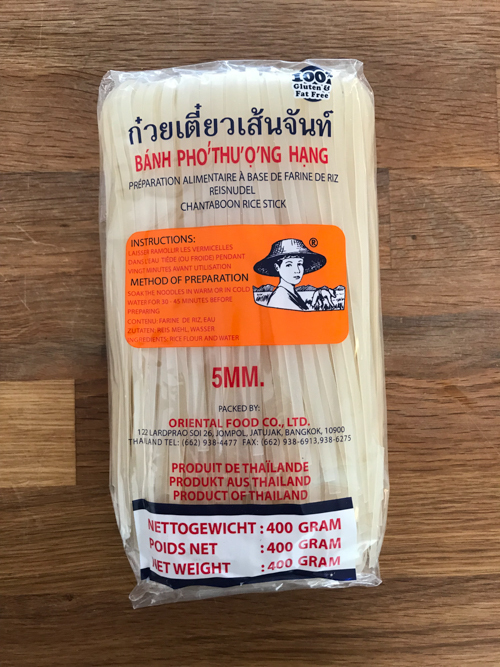 Used for noodle dishes like Pad Thai, these noodles should be soaked in hot water or briefly boiled before being thrown in the wok. 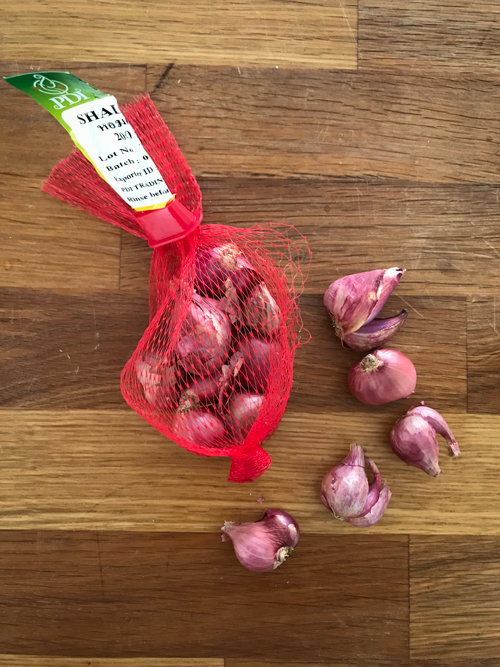 These are smaller than our European shallots, and more of a pain to peel as they’re really tiny. They are less sharp in taste and thus better in raw dishes like the shallots from your lands.